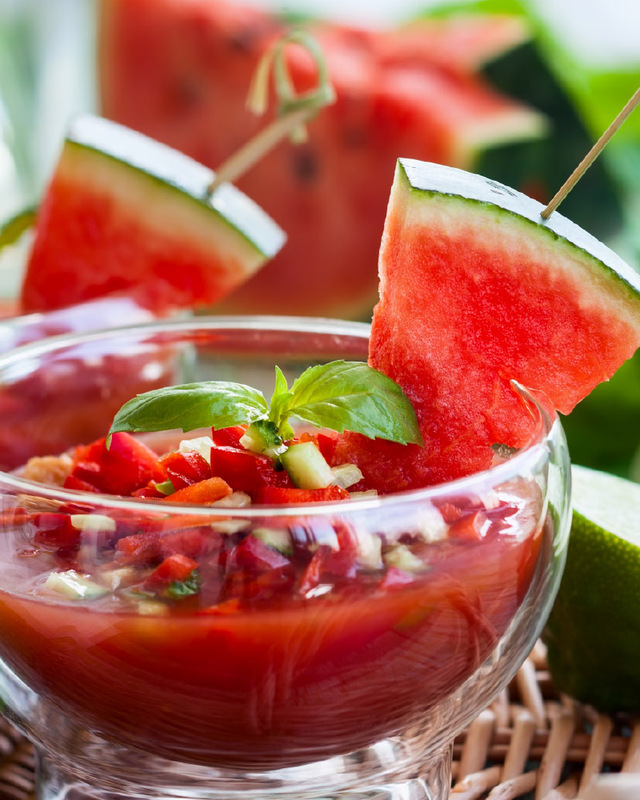 1.Place tomatoes, watermelon, cucumber, bell pepper, onion and mint in a large bowl. Season with salt and pepper, to taste. Stir in olive oil and vinegar. Reserve 1 cup for garnish. 2.Add mixture to blender and blend until puréed. Strain mixture through fine-mesh sieve into bowl to discard with leftover solids. Cover and refrigerate until chilled, about 1 hour. Divide among 6 serving bowls. Garnish with reserved chopped mixture, fresh mint leaf and watermelon slice, as pictured.